A few years back John Piper wrote a book on Christian ministry entitled, Brothers, we are not professionals. It’s well worth a read if you’ve not done so. 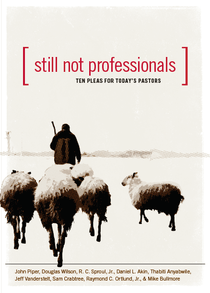 For those who have, Piper has added a collection of 10 pleas to pastors, in a new addition of the book. The new chapters, from a collection of contributors, can be downloaded for free as a separate ebook here.